The wind energy value chain consists of a number of specific and distinct steps - from the supply of raw materials to the transmission of electricity. These steps, along with the prominent supporting products and services for each, are given below. The illustration here also provides a bird’s-eye view of the opportunities available along the entire wind energy value chain. A trend in the wind energy industry that entrepreneurs should be aware of is the move by incumbents towards vertical integration along this value chain. And there is a reason for the vertical integration efforts. With supply chain bottlenecks a constant threat, many of the large wind firms have responded by buying out suppliers of critical components such as blades, generators, and gearboxes. By bringing suppliers in house, they could ensure they would get the products they needed on time, and at an acceptable price. However this applies only to large organizations. A detailed analysis of this value chain brings out opportunities in each stage for small and medium players too. Click on each opportunity to read more about them. Wind farm developers are responsible for developing the wind project from concept to commissioning, and they undertake all the planning, design and project development work in this regard. As part of their role, wind power project developers also take up the role of establishing access to capital for investment, construction of roads and related infrastructure that can accommodate the transport of heavy industrial equipment and components. Depending on the nature of contract, the wind project developer sometimes has a managing interest in the project when it is complete, but in most cases the real ownership lies with the wind farm owner. A wide range of materials are used for wind turbine construction. While steel is perhaps the most important material in this context, a diverse list of raw materials are required to produce the vast number of components that comprise a wind farm. The illustration shown on the right, provides a detailed review of the materials and components used in the production of wind turbines. There is a move in India to indigenize wind turbine component production; this could lead to significant opportunities for suppliers of raw materials that go into the production of these components. Indian producers of the above raw materials should hence explore how they can become suppliers to this sector. In the wind energy sector, turbine manufacturers represent the predominant OEM segment. OEMs usually manufacture some of the critical components such as the nacelle in-house, and blades and towers are produced either by the OEM or fabricated to the OEM’s specifications by a supplier. 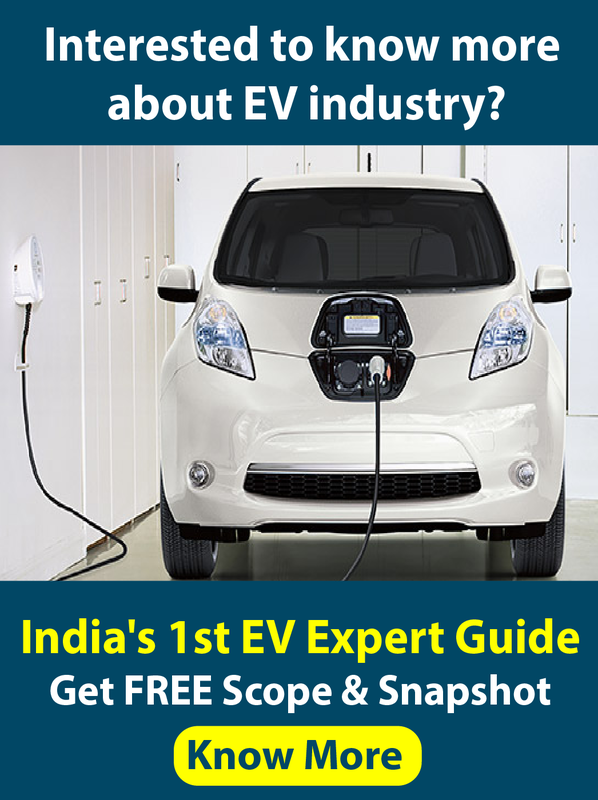 While opportunities do exist for new OEMs in India with the projected continuous growth in the wind industry, it should be noted that this is an area that faces intense competition from large global companies, and entering the OEM domain will require significant capital and marketing investments. To encourage indigenous manufacturing of wind turbines and to facilitate transfer of new technology, MNRE is expected to introduce local content requirements for wind turbines. Component manufacturers manufacture a wide range of mechanical and electrical components, including generators, hydraulics, sensors, hardware, drives, power distribution, composites, cabling, big steel, castings, forgings, bearings, gearboxes. The primary components in a wind energy generating system are: Rotors, Blades, Nacelle Controls, Generator, Tower Components and Power Electronics components. A modern wind turbine consists of about 8000 unique components. Should a market for micro-wind turbines emerge in future, opportunities could arise for traders and small system integrators, similar to what is happening in the solar PV industry in India where rooftop solar systems are set to take off soon. Opportunities to trade in the power produced are however likely to expand significantly. Currently, it is possible for wind power producers to sell electricity to the grid, use it for captive consumption or sell it to third parties. With the emergence of independent power exchanges and with the likely liberalization and streamlining of power distribution across states, the opportunities to trade in power are likely to increase and become more lucrative. With the advent of the RPO/REC mechanism in India, there has been significant demand for non-solar (wind, small hydro, biomass etc.) over the past few months. The high demand for non-solar RECs is mostly met through wind energy based REC. In light of this, REC accreditation, advisory and trading services present a significant opportunity waiting to be capitalized. Wind power feasibility studies and project development for commercial-scale wind farms is a multifaceted, lengthy process, often requiring collaborative efforts among several companies. Project developers perform: Wind power feasibility analysis, Site selection, Wind farm design and layout, Wind turbine selection and acquisition, Obtaining state permits, Construction contracting, Acquiring wind rights and leases, Energy production estimates, and Project financing. A database is made and outsourced to the companies that design a simple user interface softwares that need input of required data. Based on this, and the database, the Wind power plant/ wind power system design is simulated. Geo hazard assessment and mitigation – unstable slopes, surface and groundwater, seismic hazards. Offshore wind farms could require a few more geotechnical services, in addition to most of what are required for the onshore wind farms: Foundation and design assessment, Subsea cabling and Sea bed geotechnical service. Modes of transportation for the wind industry include trucking, shipping and rail freight. There are considerable opportunities for transportation providers in all sectors to serve the industry. A single wind turbine can require up to eight hauls, and for a large project of 150 MW, transportation requirements could be as much as 689 truckloads, 140 railcars, and eight ships (Tremwell & Ozment, 2007). Turnkey construction contractors provide engineering, procurement and construction services, including civil works, laying cables for electrical infrastructure, and installing wind turbines. 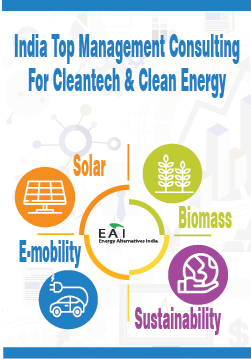 Over the past decade, a number of construction companies in India have contributed to and benefited from the wind energy sector growth, and this trend is expected to continue in future as well. Operations include scheduling site personnel, observing turbine operation, dealing with equipment failure, and coordinating with the utility to respond to curtailments or outages. Maintenance includes both scheduled (preventive) services, such as periodic equipment inspections, oil and filter changes, calibration of electronic sensors, blade cleaning, and unscheduled services to repair component malfunctions. Companies specializing in underwriting, loss adjusting and risk engineering wind power projects provide insurance services. These include: Insurance Cost Estimating, Insurance Brokerage/ Risk Management, Contract Review/ Analysis/ Document Drafting, Underwriting/ Marketing, Fire Protection/ Property Preservation, Risk Assessments, Life/ Safety Risk Control. Offshore wind farms are usually located a few kilometres off the mainland and hence efficient evacuation of power from these farms pose a significant problem. High Voltage DC (HVDC) transmission systems aim to overcome this problem by providing a means of highly efficient power evacuation from offshore wind farms. Tremendous progress have been made in the context of gearless wind turbines, original concepts such as the FloDesign’s Jet Engine-inspired Wind Turbine, attempts at vertical axis wind turbines for utility scale, innovation in wind towers resulting in significant reduction in amount of materials used, innovations that are attempting to increase the efficiency of generators (ex: ExRo), and interesting innovations in wind turbine blades ( ex: shape-shifting blades designed by Purdue University and Sandia National Laboratories). Other innovations include the development of the vertical axis wind turbine (VAWT). Researchers at CalTech have conducted studies that setting up wind farms with smaller (as compared with traditional turbines) VAWT help in exploiting the typically lower wind velocities at lower altitudes. Further, these turbines can be placed closer together thereby increasing the energy density by reducing the turbines’ footprint. The research indicates that these turbines could provide as much as 10 times the power output of traditional wind farms. MNRE under its Research and Development policy of Wind power has launched strategies which are given here.